When considering bankruptcy because of serious financial hardships, the number one question that I hear as a bankruptcy attorney in Miami is, “What will happen to my credit?” And the truth is that your credit will be affected by a bankruptcy filing, be it chapter 7 or chapter 13. However, most people filing for bankruptcy have spent many months paying their bills late or not at all and therefore already have a low credit score to begin with. Once the bankruptcy has been discharged, the slate has been wiped clean and now you can begin to rebuild your credit with a fresh start. If you’ve come to the bankruptcy law offices of Ariel Sagre, you’ve probably been through a difficult life event such as divorce, job loss or sudden medical illness. 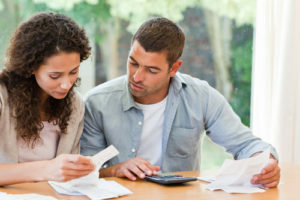 Carefully considering and understanding what led to your bankruptcy filing is half the battle in assuring that you won’t find yourself in the same situation again. Developing a budget and living below your means will allow you to save money that you can reserve the next time a rainy day comes your way. There are credit card companies that will take a small deposit and extend you a small amount of credit so that you can begin establishing a credit history once again. The key here is charging very little every month and paying off the credit card in full at the end of each month. Timely bill pay weighs heavily on your credit score. Every bill must be paid on time, including the electric and water bill. All of your creditors have the ability to report late payments to your credit report. #4 Stick to your credit cards for a long time. Part of your credit score is dependent on how reliable you are over a long period of time. Sticking with the same credit cards, home and employer over many years helps to demonstrate that you are steady and lenders are more likely to extend you credit in the future. There are many people out there trying to take advantage of people in desperate situations. Remember, if it sounds too good to be true, it probably is! Watch out for people who offer to fix your credit overnight or people willing to lend but at astronomical interest rates. Always do your homework and read all fine print before signing up for any new loans or lines of credit. I can’t tell you how many people come to our law firm to file bankruptcy because their identity has been stolen and they cannot fix the situation. Take precautions. These are just some of the ways you can help to protect your identity: Shred your mail, pay with cash as often as possible, shop online through secure sites, never give your social security number out over the phone etc. Following these basic steps will put you on the right path towards establishing excellent credit so that you can once again take out a car or mortgage loan. Remember Sagre Law Firm is here to help you at every step of the way. If you have any questions about Bankruptcy and what it entails please call us at (305) 266-5999. To get started, call the Miami Bankruptcy Law Offices of Attorney Ariel Sagre at (305) 266-5999 for your free bankruptcy consultation. The Bankruptcy Lawyer can file cases for clients in Hialeah, Miami Beach, Coral Gables, Homestead, Aventura, North Miami, Doral, South Miami, Opa-Locka, Miami Gardens, Miami Lakes, Sunny Isles Beach, Pinecrest, Cutler Bay, Palmetto Bay, Florida City, Miami Shores, Miami Springs, Medley, Hialeah Gardens, Sweetwater.